Data-driven decision-making is nothing new to those in health care. Life and death decisions are made every day based on patient data. 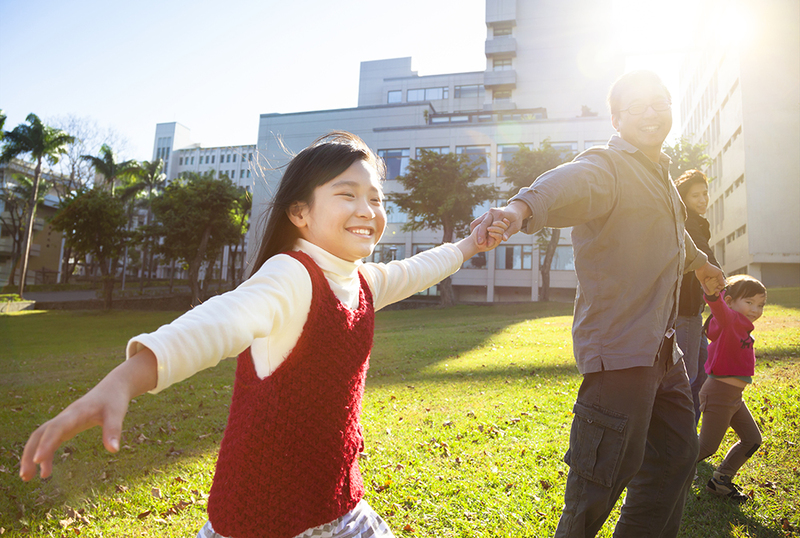 However, as health care moves beyond the hospital walls and into the community, understanding the dynamic environment in which their patients reside is critical to reducing costs and improved patient outcomes. This is one of the many reasons we created Opportunity360 (which is featured on MeasureUp). Efforts to invest in the social determinants of health are gathering steam, and we need easy to use data tools to amplify the case for doing so and accelerate the pace at which this movement is happening. 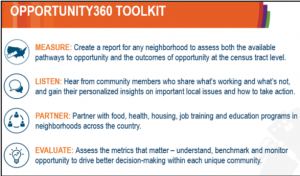 Opportunity360 can help to ensure that community stakeholders who are working to advance better population health outcomes have relevant, easily accessible data that they can use to make a stronger case for the work they do and resources they need. The Opportunity360 platform includes several online data and mapping applications, toolkits and how-to-guides, as well as innovative technologies for engaging community residents. Aggregated into a single platform, Opportunity360 has more than 200 indicators, as well as tools to encourage cross-sector partnership and capture resident feedback. The tools on the platform are free, including a 25-page report that can be generated for any census tract in the country. This report provides data that reflect five key opportunity outcomes: housing stability, education, health and well-being, economic security and mobility. For those who wish to dig a bit deeper, Enterprise has a team of technical experts that can create custom dashboards, develop customized geographies, define neighborhood typologies and innovate additional ways to translate community data into actionable solutions. The use cases for Opportunity360 in the health context are just now emerging. Two that we are actively working on are instructive. A school superintendent is worried about student absenteeism and, in talking with her school administrators and teachers, realizes that this issue is being driven by broader community issues – one of which is the lack of appropriate health services. With Opportunity360, she can easily assess how much of that issue is also influenced by additional underlying structural challenges—such as a lack of healthy food outlets, poor housing stock, and pockets of concentrated poverty. Given this newfound perspective, she can identify relevant cross-sector partners (in health as well as in other sectors) to address the essential needs of her students. Similarly, a CEO of a leading hospital wants to understand the extent to which the health outcomes of the people in his service geography are mediated by issues like poor housing or food insecurity. Although he intuitively knows that there is a relationship between these issues, he can use Opportunity360 to make a data-informed case to his Board of Trustees that investments to address housing and food insecurity are vital to the success of the hospital, as well as to the health of the surrounding communities. So, just as a person’s own DNA is highly complex and individualized, the DNA of a community is equally so. And people are just one part of the vast network of interrelated systems that determines their opportunities in life and their ability to achieve their goals, no matter where they start. Opportunity360 is designed to help the field better understand the pathways within these systems that can be “disrupted” to drive better outcomes. The good news is that our investments in health no longer must be defined or confined by what happens in the doctor’s office. 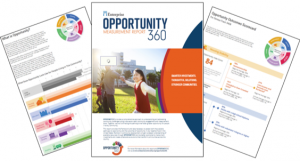 Opportunity360 provides a toolkit so that community stakeholders can solve community problems together – solving for the “big” issues that move the needle on individual and population health in ways that go far beyond the doctor’s office. When we shift the paradigm more firmly in this direction, we will see that the health care system of tomorrow reflects a broader culture of health where the outcomes and benefits are more equitably distributed and where the community works in deep partnership with health care institutions. Homes, schools and work places will become agents of health, as tools such as Opportunity360 help policy makers target resources more effectively to deliver health in those places in which people spend their time. Cross-sector partnerships will be “business-as-usual” and those partnerships will result in a stronger pipeline of investments in our health ecosystem by a wider range of stakeholders. We believe that good health will no longer be reserved to those who can afford it or who are lucky enough to live in a community that prioritizes investments in improved and equitable health outcomes. We offer up the resources in Opportunity360 to help realize that vision. Dr. Tiffany Manuel is Vice President of Knowledge, Impact & Strategy at Enterprise Community Partners. She writes about community development, inequality, social exclusion and racial equity. She has been featured by numerous national outlets such as CSPAN, Shelterforce, CityLab, and the Stanford Social Innovation Review. Dr. Stephany DeScisciolo is Senior Director of Knowledge, Impact & Strategy at Enterprise Community Partners. She has a deep understanding of the important connections between health and housing and has written about health disparities, using affordable housing as a platform for health, and the impact of the built environment on individual and population health outcomes.